is Balentine’s Office and Business Manager. 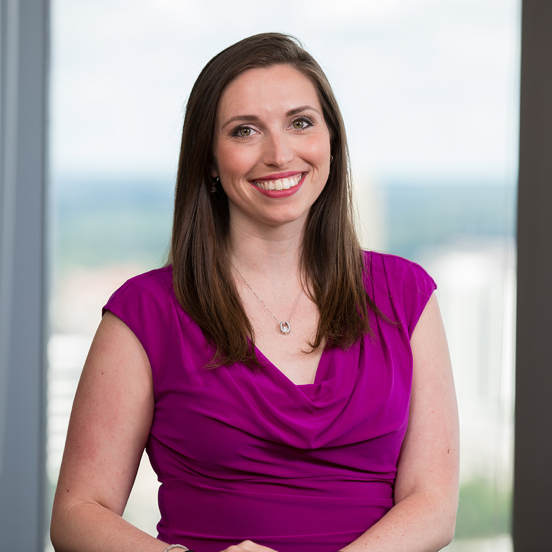 In this role she oversees the day-to-day operations of the Atlanta office, leads firm-wide training, assists with new hire onboarding, and coordinates employee volunteer opportunities in the local community. Prior to joining Balentine, Christina worked for two years as director of operations at GatorCPR, LLC in Gainesville, FL. The start-up atmosphere allowed her to wear many hats, including supporting human resources, accounting, and marketing; assisting with the company’s nonprofit arm, HeartSafeCity Foundation; and teaching CPR classes. Christina is a graduate of the University of Florida, where she majored in business administration with minors in entrepreneurship; non-profit organizational leadership; and family, youth, and community sciences. In December 2018, she received her Masters in Human Resource Management from Florida International University Online. Balentine’s welcoming environment, combined with anticipation about learning something new, are both huge motivators. One of my biggest passions is Greek dancing, which I have been doing since I was four years old. Traditional costumes and music are paired with choreographed steps to form such an expressive experience. It’s the best way for me to bond with my culture! Lunahuaná, Peru. I stayed in a country house where the organic garden onsite has over 300 species of plants. Down the road, I was able to go zip lining from mountain to mountain, ATV riding around town, and white-water rafting. I love to watch football, both NCAA and NFL (Go Gators! Go Eagles!). I also love to play Ultimate Frisbee. If you think about it, it’s a mixture of football, soccer, and basketball, and there’s hardly any downtime while playing. The ability to be multiple places at once.